The X-Fusion HILO is a nice infinitely adjustable hydraulic seatpost, and it provided very smooth operation throughout its 100mm of travel. The HILO seemed more applicable to X-Country than All Mountain riding, due to the height limitation of its travel and viscosity (slowness) of the movement. The seat lever system worked extremely well, especially on easy to moderate terrain, and it provided excellent operation and precision in its usage, and made the post swappable between bikes. The remote worked adequately, but was stiff and awkward to use. When the HILO was lowered, and you grabbed the saddle, it would rise to the highest position, and made a hike-a-bike portaging more difficult. 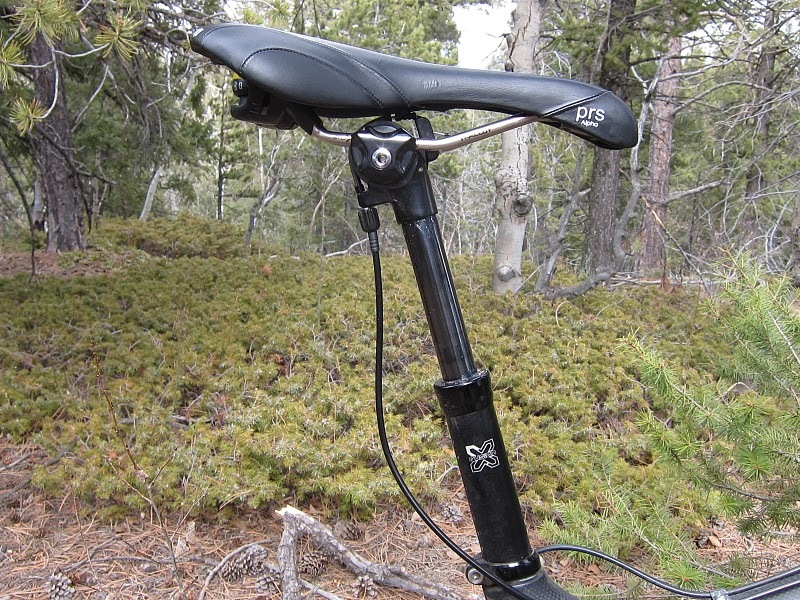 Adjustments height seatposts are improving the way that mountain bikers ride everywhere. All riders can benefit from moving the seat down for added stability on descents or increasing the seat height for climbing. X-Fusion has been manufacturing hydraulic systems for over 10 years so it was natural for us to jump into this emerging product segment. Our goal is to create the most durable, most reliable adjustable height seatpost on the market. It looks exactly like the Maverick Speedball / Crank Brothers Joplin posts. Probably licensed from Crank Brothers because it’s already offers 100mm instead of the original Speedball’s 75mm. Exactly the same (small) annoyances as the original version. Does not seem to offer any advantage to the original one, similar price, but heavier.